Puddles of Myself: Love to Spend the Night with Anna K.
This Friday, the long-awaited (it’s been fifteen years since the last adaptation!) 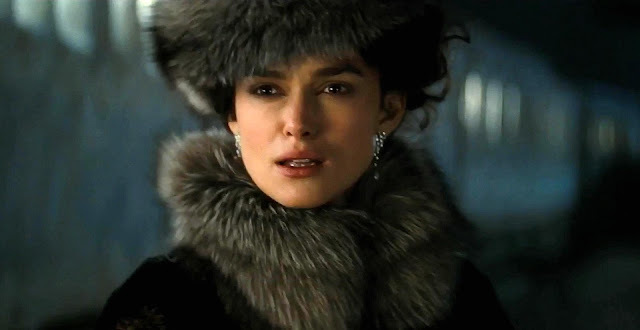 and latest film version of Tolstoy’s masterpiece (and the first modernist piece of literature if you ask me), Anna Karenina hits American movie theaters. And, according to initial reviews, it may not be that good. However, we Americans (read: mainly women. Is that sexist?) love a good period piece based on a really long book that we really don’t have enough time to read; especially during beach season—imagine if the movie had come out in the summer!? And, even if the snooty metropolitan region reviews are bad, that will not—and should not—stop us from heading to the theaters to see what the 19th century Russian aristocracy looks like and sounds like this time around. Now, Anna Karenina is one of my favorite books of all time. I usually read it once every 18 months or so (#HUMBLEBRAG) and find myself opening up to random passages much more frequently than that. There is something about the way Tolstoy draws you into the upheaval of the Oblonsky home in those first few pages—the universal observations, the complete knowledge of various characters’ feelings and insecurities, the steady narrative that switches to various perspectives sometimes in the span of one or two pages, but always under control and with purpose—that makes you just want to sink into the story, if only for a moment. There is also the desire to flip to the strange, mystic and foreboding first encounter between Anna and Vronksy, or to just have a little taste of the dark period where Levin meditates on his brother’s death and the nature of dying. And, of course, there is Levin’s ultimate epiphany looking out at the stars over the lime groves at the very end of the novel, which, to me, is perhaps the finest writing and rendering of human thought and emotion in history. So, being somewhat of an Anna Karenina expert (not really, I just like it! ), I am going to guide those of you Karenina-dummies who are planning to see the film through a basic overview of a few of the main characters—as well as the actors who portray them. Oblonsky is the first character we meet in Anna Karenina and he is perhaps the most “fun” character in the entire novel. Oblonsky opens the novel by waking up on the couch in his study because his wife, Dolly, has kicked him out since she discovered he had an affair with their former maid ("French governess" in the novel). Oblonsky is a bit of an idiot, but he is a smooth talker who loves to eat oysters (the scene where he and Levin have lunch is one of the early highlights of the book) and who can also dispense with a few pearls of wisdom and societal insight from time to time. He is Anna’s brother and is meant to represent society’s standards in regard to men having extramarital affairs. You can think of him as a less abrasive Ari Gold. Or a dumber, less rich (but still wealthy) Roger Sterling. Matthew Macfadyen is an actor I don’t know much about. He’s British, which is a good sign, and has been in stage performances of both parts of Henry IV—not bad at all. He’s 38, which is about in the wheelhouse of how old Oblonsky was in the novel. Based on his roundish, baby-face, I’m going to say he was perfectly cast to play Oblonsky, especially with an aristocratic Russian mustache. Kelly Macdonald is a fantastic actress who is currently working with underwhelming material on the third season of Boardwalk Empire. Macdonald is Scottish, but she played an excellent Texas wife in No Country For Old Men. Unfortunately, she was killed by Javier Bardem. And in Boardwalk Empire she pulls of a believable Irish adulteress! Imagine that. A Scotswoman pulling of an Irish woman! No, but in all seriousness, this was a perfect casting choice. Ah, Kitty. Now this is a character I have always related to. No, it’s not that I relate to a society girl who becomes a good woman and mother, what I mean is that I have definitely been in a situation with the girl that scorns you for the richer, better looking, more athletic guy, but then realizes, “Oh, yeah. The weird, brooding guy is actually smart and difficult and handsome too!” (except the second part never happened). Kitty might be Tolstoy’s most deft creation. If he had wanted, Tolstoy could have very simply left Kitty as a one-dimensional character: easily persuaded, shallow society girl realizes her fault in choosing a lover and dotes on smart, brooding husband. Instead, while Kitty is a good wife to Levin, she challenges him and grows into a more three-dimensional, fully rendered woman. She doesn’t just let him get away with his farming-death-what is God-why do I even care about my own life vibe and makes him become a better man. Well, mostly. You’ll see in the final epiphany. Kitty is the rich man’s (you know what I mean) Betty Draper-Francis. Alicia Vikander seems cute enough to play Kitty. She’s Swedish (eh, close enough) but her face is a little too round and soft for how I pictured Kitty in my mind. I pictured her with a little bit sharper features. However, I don’t know too much about Russian women other than Maria Sharapova and she might as well be American at this point. Vikander recently turned 24, so she’s right in that late-teens early 20’s range that Kitty is in during the course of the novel. You know, the more I look at this girl, the more I’m sold on the casting. I almost don’t want to get started on Levin because he might be my favorite character in the history of literature. I mean, if you know me, just think of me as this character. Levin is brooding, a former world class gymnast (for me, exchange "gymnast" with “basketball player” and "world class" with “average but really hustled”), obsessed with death, farming (hey, you know me! ), peasants, Russia’s identity, man’s existence, God’s existence, being good, Kitty, and love. He is a complicated, frustrating and ultimately rewarding character to follow. Sort of like me. Domhnall Gleeson is the son of the great Brendan Gleeson! He’s 29 years old—so right in Levin’s early-30’s age range—and he was one of the Weasley brothers in the Harry Potter movies. He seems a little slight to be playing my man Levin, but we’ll see how he does with all the facial hair. Karenin was my least favorite character when I first read the novel because he represents a cold, repressed way of living life. Karenin is a well-respected man of high society who has all the right connections and the right government position, but never seems to take true joy in anything. Based on Karenin’s portrayal, you understand why Anna is driven to her affair. However, with Tolstory (typo left in) it’s never that simple and I slowly saw how tragic and complicated of a character Karenin is at almost every turn and how society made him into the somewhat mangled human that he is, for “good” and for “bad.” I’m trying to think of a good Wire comp for Karenin. I keep wanting to say a more understated Carcetti or an even more reserved, less-likeable Daniels. Neither of those totally work, but any Wire reference is a good reference. From what I have read already, I have a feeling that Jude Law completely nailed this part. Law has been under the radar for awhile after being one of the biggest movie stars in the world from about 2000-2005. He went through his own very public experience with adultery and the societal repercussions, so could this role be the part that brings him back? To me, Vronsky is actually the worst character in the book. He is handsome, charming, educated, aristocratic and passionate about Anna, so it is easy to see why she falls for him. And while Vronsky does become complicated in his complete devotion to and then somewhat disgust for Anna, his character never completely takes off, even when he is focusing on being a painter later on in the novel. Just because he stops focusing so much on being a society man to devote his whole being to one woman doesn’t make him a very interesting or great character. Bear with me, but Vronsky is like the frontiersman-who-just-found-gold’s version of Vincent Chase. Aaron Perry Johnson seems to have the cheekbones to play Vronsky. He’s 22 years old and he’s had some pretty impressive roles already. He played John Lennon in Nowhere Boy in 2009, was in Shanghai Knights with Jackie Chan in 2003, and was even in the The Illusionist, which was based on a story by my main man and mentor Steven Millhauser. I feel like this one could go either way. Now we come to the titular character herself. Anna is quite a character, but I will admit that she becomes sort of tedious the more you read the story. Perhaps its because that, even after the first read, you know her so well that all of her qualities are somewhat familiar to you and start to grate. In any case, she is a complex and three dimensional character to say the least. She can be irrational, passionate, maddening as well as intuitive, rational, gentle and matronly. She loves her son more than anything and is in many ways the perfect example of a mother. However, she also acts on a need for romantic love in her life that ultimately causes her to lose control of herself. Anna is repentent for her adultery, but then she is defiant. Through Anna (and I mean, through the myriad other characters in the story) we see the variety of ways a “bad” act can ultimately be judged and perceived. She’s Anna Karenina, one of the most famous characters in the history of characters. Are you kidding me? Keira Knighley in a period piece? That’s like Michael Jordan in the NBA Finals. Just sit back, enjoy the cheekbones, small eyes, the Kobe Bryant underbite and let my Babe of the Moment 2006 do the rest. Very solid. Just wondering, what translation of Anna Karenina do you read? I am guessing you don't read it in the original Russian but, if you do, I am supremely impressed. The Norton version. It's supposed to be one of the best. Plus a lot of good extras (letters, essays, etc.) in the back. Thanks so much for the reply. Keep up the awesome. Can't believe you're a Tolstory(intentional typo) fan! Levin is supposed to be Tolstoy himself, so good going. Have you read "What Men Live By". I'm also surprised by the casting of Law as Karenin, since we've seen him in the 'cad' role both in movies (Alfie) and real life. Keira Knightley said that she's playing Anna in a different way, not just as a victim. It would be good to see that. Adultery was definitely on the mind in those days, Emma Bovary...and others. Kudos to you for sharing this with us.